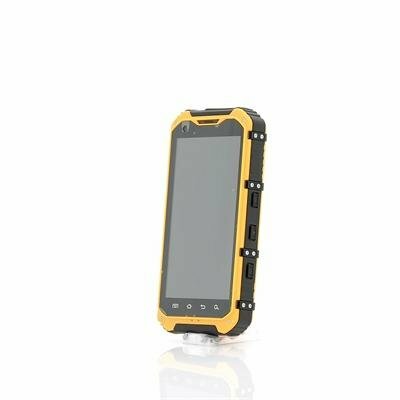 Successfully Added Android Rugged Smartphone 'Ox II' - MTK6582 Quad Core CPU, 1GB RAM, 4.3 Inch Display, Android 4.4, 3000mAh Battery, OTG (Yellow) to your Shopping Cart. Rugged Smartphone scares off the competition as it has an Android 4.4 operating system, Quad Core MTK6582 CPU, IP67 Waterproof and Dust Proof Rating, OTG and a 3000mAh Battery Capacity. This robust, Android 4.4 phone is ideal suited to those of you who spend a lot of time outdoors, whether for work or for leisure. It has substantial 3000mAh battery, which will give you 5 to 8 hours of talk time or up to 150 hours in standby from a full charge. 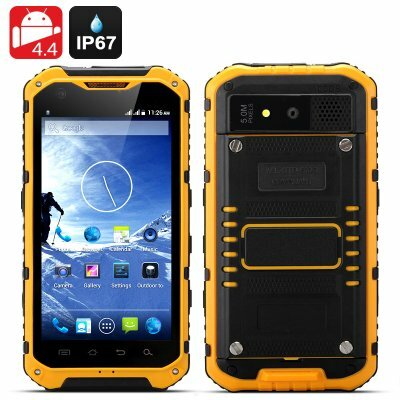 With a tough rubberized exterior and tested to an IP67 waterproof rating by our in house QC, this phone can easily handle the wet and wild as its been tested in up to 1 meter of water and is tough enough to put up with the abuse of being dropped and knocked about on a daily basis. The 1.3GHz MTK6582 Quad Core processor is partnered with 1GB of RAM so this rugged phone can run the latest apps so no matter where you are, keeping in touch with family and friends or even just updating your status is easy and hassle free. With the 8 megapixel rear facing camera you can capture high quality images and videos giving you the ability to share magical experiences with your family and friends. Featuring OTG capabilities you can plug in and read memory pens, which allows for easy data transfer and usage. The 8GB of internal memory can be expanded with up to 32GB of additionally storage space by simply adding a micro SD card so with all these storage options you will lack room to store you adventures. If this wasn't enough it comes with two SIM card slots to put you in control of both work and personal numbers.